We focus on the creation of easy to use products to help you produce powerful and effective organization charts. An organization chart can help you locate any individual within your company quickly. Each chart consists of boxes that represent individuals and their roles within your organization. It can also include photographs of individuals and other important information such as direct contact details, departments or relationships between divisions. In a few minutes you can display the structure of your organization and personalize your org chart however you wish using a selection of features. 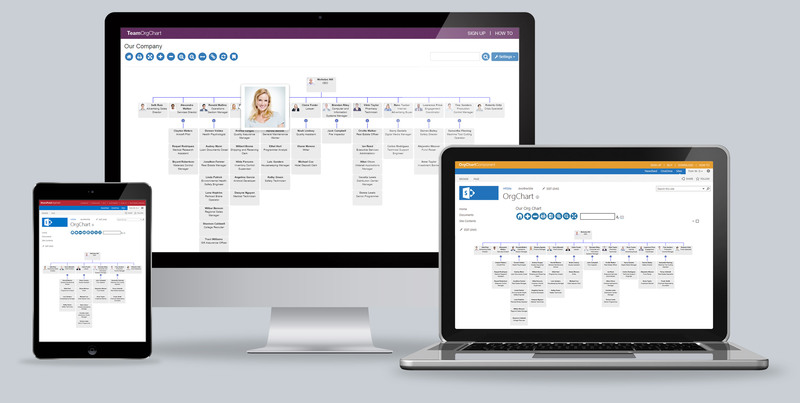 TeamImprovers products make it simple and easy to create and share org charts.